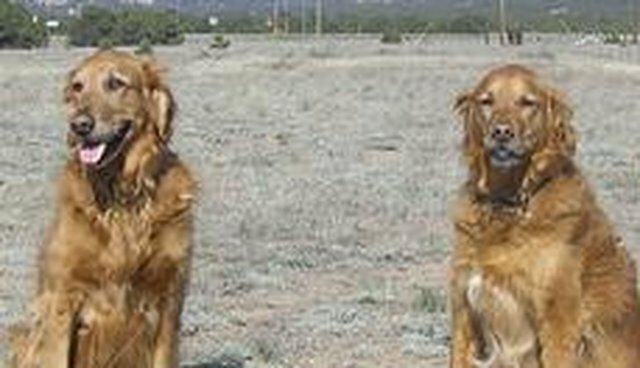 We lost two goldens within seven months of each other. It was a sad and frustrating time. Dusty became suddenly very ill. We tried so hard to help him overcome his kidney issues, but it was not to be. He was just too sick. Jesse was three weeks shy of 15 and his arthritis just would let him be mobile any longer. I had helped him for weeks and months actually, not being ready to give him up. But when it got to the point of being better for him to let go, I did. Not without many tears. I miss these guys so very much. I have one rescued golden and one shelter adoptee now, but they're already almost nine and ten. They bring me the most companionship in my life. Just be being pesty and always underfoot begging for a treat or to be petted, they keep me company.